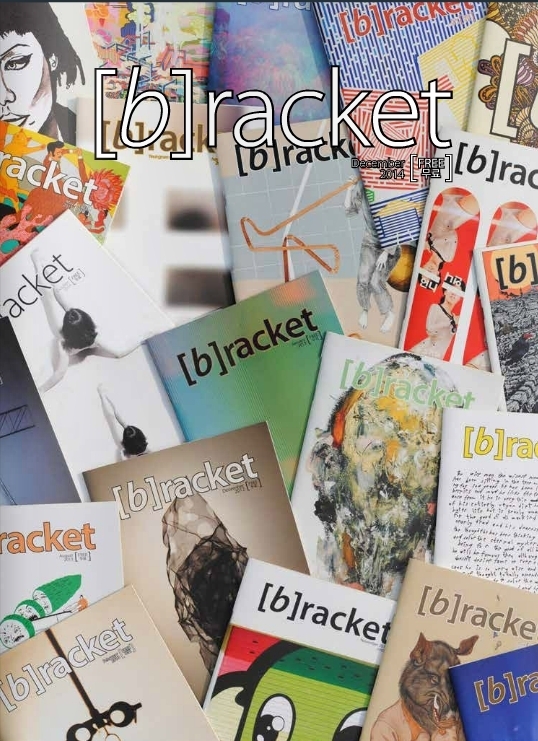 Expat art magazine (b)racket is closing its doors after 24 issues as key staff have moved on. The magazine started out with 200 issues in Daegu in October 2012, to provide a platform for artists in the city and nearby. Founder Jess Hinshaw said he was proud of what the magazine had been able to achieve, but that the workload of putting out a magazine every month was too difficult to keep up. “It was still run by a very few, and I was neglecting my own artwork,” said Hinshaw, who also jointly runs a printing studio called Mesh. Both he and another production member wanted to take a break, and with other key members of the staff also leaving, there weren’t enough people to keep the magazine going, Hinshaw said. The magazine was staffed by volunteers, and funded by advertisers and later a grant from a government-funded design organization, allowing it to grow to 1,000 issues distributed in Seoul and other major cities, and a mobile app. But the center had to pull funding for technical reasons, it became harder work to find sponsors to fund the magazine, Hinshaw said. He said that it was a difficult decision to end the magazine, but did point out that there were other people who had stepped in to support artists in the past few years. “I guess that one of the reasons that we felt a little better about finishing the magazine, and we really did try to make it as an outlet for artists, is that there is another magazine called Angle that’s doing really good things,” said Hinshaw. The magazine featured the work of 144 artists in its pages and held quarterly exhibitions in a small cafe gallery space in the city and two major group shows at Keimyung University, also in Daegu. Hinshaw said that the organizers would no longer update the website or app after the online editor leaves, but they would try to keep their partnership going with T.Morning cafe near Daegu Station to show art through the Gallery(t) project.